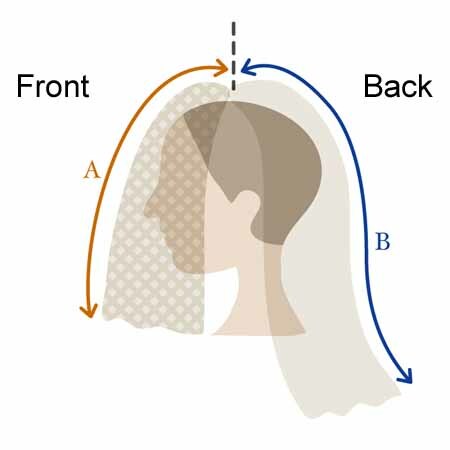 Please check the veil length and width page before you start. 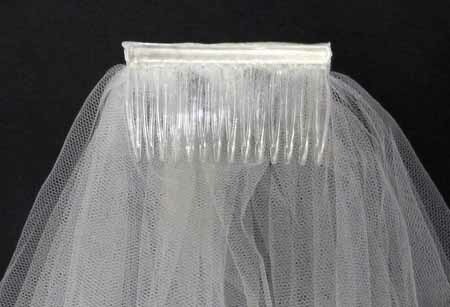 This sample is a floor length veil that uses the 7 cm plastic comb. 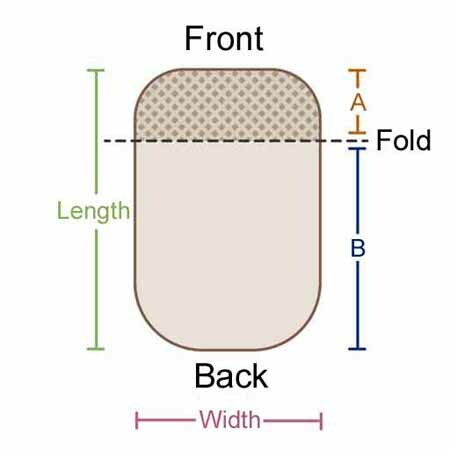 If you would like to make a shorter or longer veil or use a different comb length, please adjust the measurements. 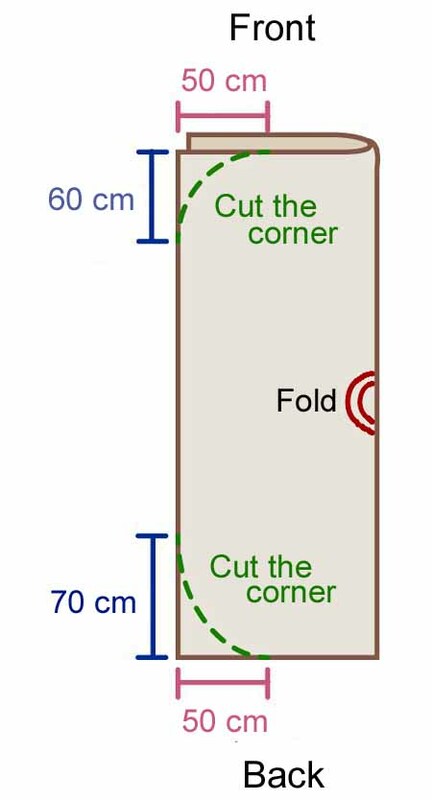 Fold and cut the 2 front corners and 2 back corners together, and open again. 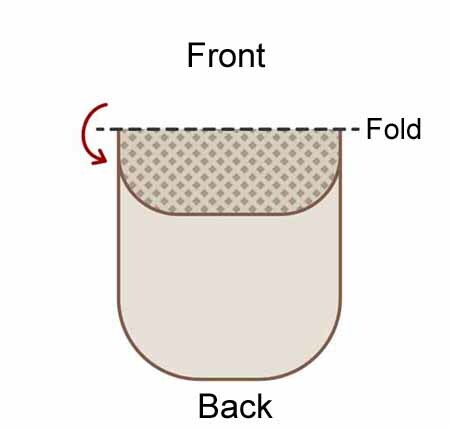 I think it is beautiful that the front corner curves are more rounded than the back curve, if the veil length is longer than knee length. 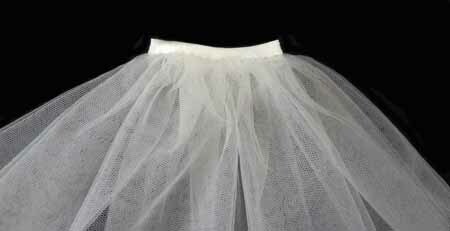 If the veil length is shorter than knee length, you can cut the 4 corners together. A is front, and B is back. 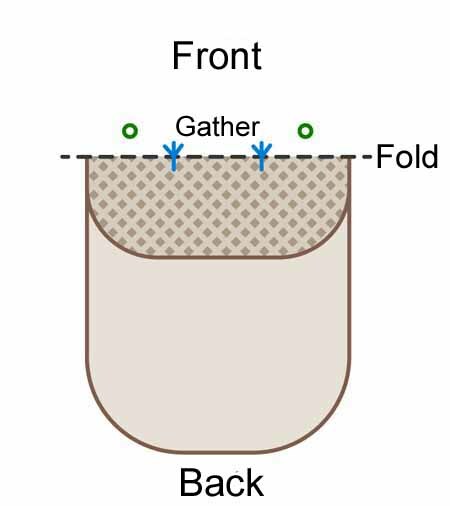 Sew along the fold between the 2 blue marks by hand plain stitch or sewing machine. 5mm seam allowance is good. Gently pull the thread at both sides to make the gather. If your front is 60 cm, the green round parts are 60 cm or slightly longer. 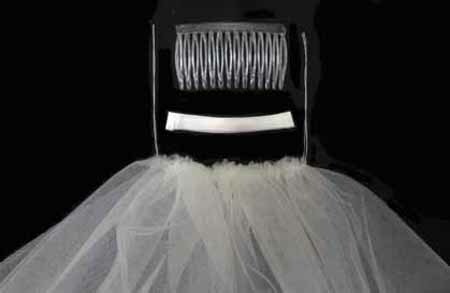 Attach the satin bias tape and comb. 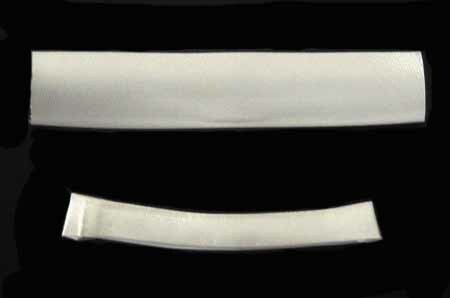 and match to the comb length of about 7.5 cm. Add some lace trimmings, motifs, beads on the veil edge, if you like.